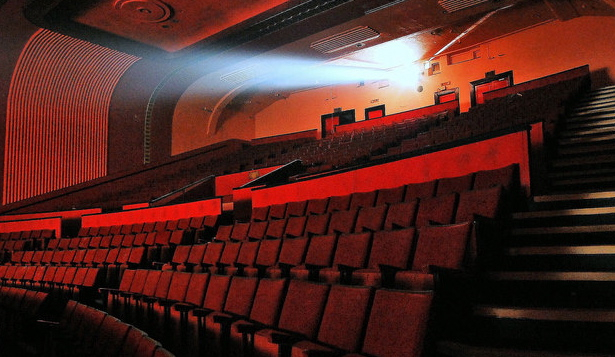 Film, and later, digital projectors have been the standard form of displaying movies since the art form’s beginning. But now, says veteran engineering executive in advanced imaging and sound Pete Ludé, so-called direct view cinema displays are poised to displace them. In an afternoon of HPA Tech Retreat sessions looking at new display technologies, Ludé drilled down into the use of emissive displays using millions of RGB LEDs. These giant displays, he said, offer tremendous dynamic range and beautiful pictures in moderate ambient light. LED displays also offer a potential for power savings, and offer opportunities to leverage immersive VR content as well as cinema restaurants that, with reasonable ambient light, lets the attendee see the menu and watch a movie in HDR. LEDs, invented in the 1960s and popularized in the 1980s, are “an efficient way of turning electrons into photons.” Just as computer processors obey Moore’s law, LED’s evolution has been described by Haitz’s law, which charts continuous improvement in light output and continuously decreasing cost. Display cost is currently based on pixel count, which is now 8 cents per piece. “When you get the price down to 3 or 4 cents, you probably have a competitive product,” said Ludé. Currently, two-thirds of the cost of an LED display is the LEDs themselves, which are housed in Surface Mount Devices (SMDs). Prices are going down, but, even better, a new format – Chip on Board – simplifies the packaging by placing the chip directly on the board. “In addition to a lowered manufacturing cost, COB handles heat better, allows higher pixel density and off-axis emission performance, improved surface uniformity and reduced maintenance,” said Ludé. MicroLED technology shows even more promise. The technology was pioneered by Sony with its Crystal LED product, and later developed by numerous companies, all of which were acquired by Silicon Valley behemoths, including Google, Oculus and Apple. Ludé reported that Samsung showed a microLED screen at CES, and Plessey showed a microLED prototype with 100,000 nits that can go up to 1 million nits. “Augmented reality, which loses 90 percent of its light, is a potential use case,” said Ludé. What’s holding back LED displays is screen size and scaling and several image quality issues, including those with color gamut, gray scale, and contrast. Audio is another issue that needs to be worked out, although a Scape Theater in Estonia sports an AS-2 audio design; Meyer Sound has also experimented with this at the Telstra Customer Insight Centre in Australia. Systems integration and stereo 3D are other issues.